​Tottenham midfielder Christian Eriksen has refused to use tiredness as an excuse following the club's recent poor run of form in the Premier League. Although they won both legs of their Champions League round of 16 tie against Borussia Dortmund, Spurs are without a win in their last four league games, losing three of them, as their title challenge has turned into a fight to remain in the top four. 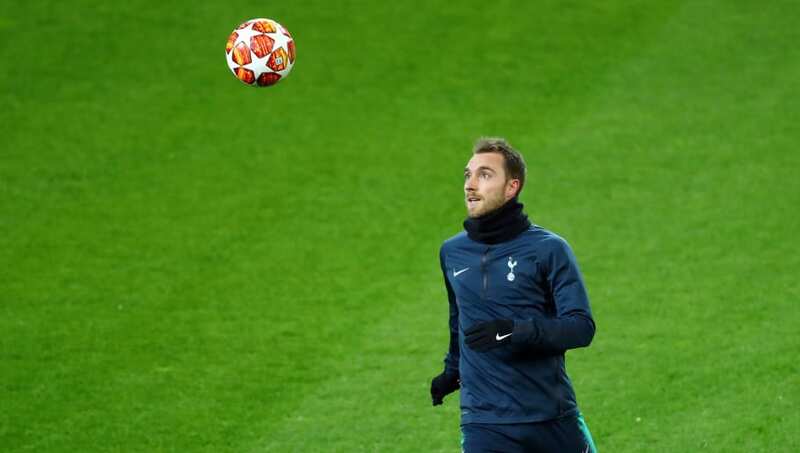 ​Eriksen however, who is part of Denmark's squad for upcoming games against Kosovo and Switzerland, has refuted claims, in no uncertain terms, that tiredness is the reason behind ​Spurs' recent winless run in the league. Speaking to Danish media outlet ​BT, the 27-year-old said: "The legs are doing well. We [Tottenham] didn’t play at the weekend, and it’s been a long time since we haven’t had matches every third or fourth day. It is nice and a little strange. I’m actually a little restless because I want to play. "It’s bull****. You get used to playing so much. After all, I’ve played many games for quite a few seasons in a row. Rather, it feels unnatural when you’re not playing." Tottenham face a number of tricky games once the latest round international fixtures comes to an end, with a trip to Anfield to face Liverpool waiting for them to round off March, before facing Manchester City in three of the five games that follow in the ​Premier League and Champions League quarter-finals. Despite the daunting fixture schedule, Eriksen - who has seven goals and 12 assists this season - has insisted that the club are confident they will return to winning ways in the league sooner rather than later. He added: "A few months ago, there was also a sudden chaos. Then we won a couple of games, and then we were in heaven again. That’s how it happens in the Premier League. "There is actually a nice atmosphere. Of course, we would have liked to win the matches, but we played okay. In the period when it went well, we might have won in injury time. It is small margins that are involved."